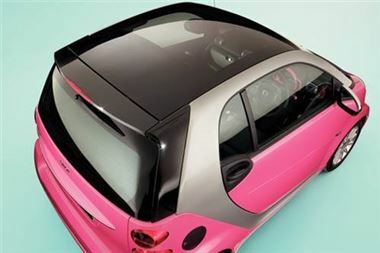 BCA is auctioning one of just 100 Pink Passion Smart FourTwo Cars to help raise money for a leading cancer hospital. The sale takes place at 1.00 pm on Monday, 22 November at BCA Blackbushe. Just 85 coupes and 15 convertible examples of the limited metallic pink Smart FourTwo Cars have been produced and are being snapped up by eager buyers throughout November. For every car sold, Mercedes-Benz donates £100 to Breast Cancer Research.